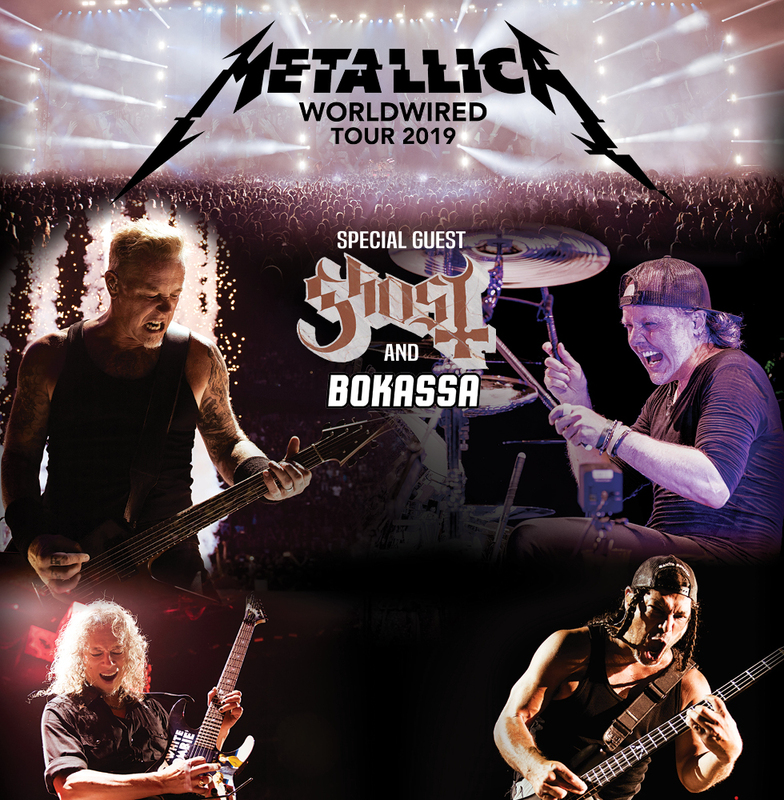 Metallica have expanded their WordWired tour in support of “Hardwired…To Self-Destruct” with a newly-announced series of shows in Europe next year. “We promised we would be back . . . it’s the return of the European summer vacation!,” says Metallica. “Following the attendance breaking indoor arena run that ended in May of this year, we are psyched to announce that we will be returning to Europe in May of next year to do an outdoor run of our own shows, primarily in stadiums, but also the occasional park and even a castle thrown in for good measure! “Kicking off May 1, 2019 in Lisbon, Portugal, the tour will visit 25 cities across 20 countries including many cities we did not stop in on the most recent excursion: Milan, Zürich, Dublin, Berlin, Moscow, Warsaw, Bucharest, Göteborg and Brussels (first time since 1988!) are all on the itinerary this summer. We also have three firsts (go figure!) with shows in Trondheim Norway, Hämeenlinna Finland, and Tartu, Estonia. “This tour also marks the appearance of another first in Europe with the Wherever I May Roam Black Ticket, a wildly popular addition to our menu of options for the current North American tour,” adds the band. 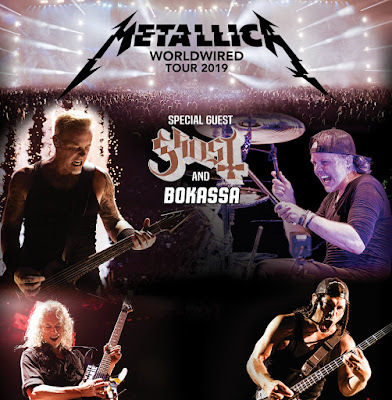 “The Black Ticket is your one-stop shop; a single ticket that allows you Golden Circle access to any Metallica show on the 2019 European tour. Pick your city from A(msterdam) to Z(ürich), make a reservation online no less than 48 hours before the gig and you're in! Fan Club presales begin Tuesday, September 25 at 10 a.m. CEST for Legacy Members and 11 a.m. CEST for Fifth Members, with general public tickets on sale Friday, September 28 at 10 AM local time via the usual outlets.